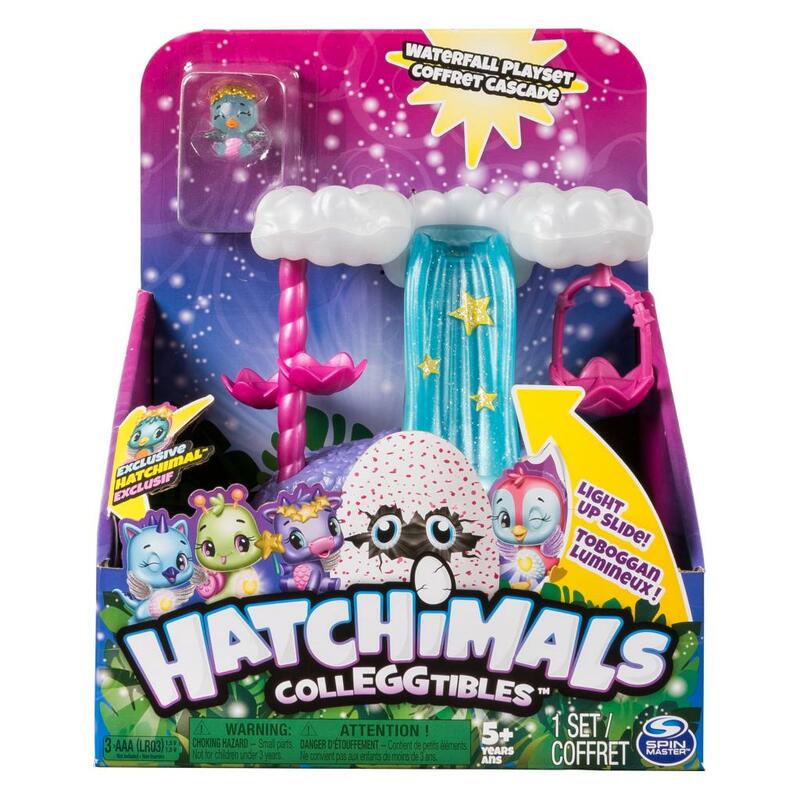 Make a wish and slide down the Hatchimals CollEGGtibles Waterfall Playset! 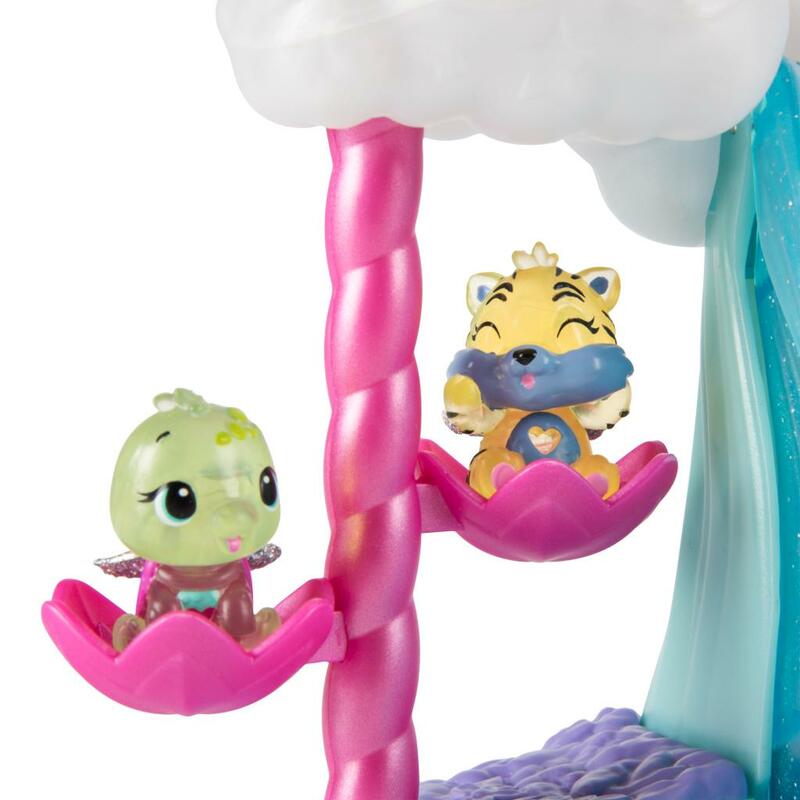 This playset’s glittery waterfall really lights up, bringing the world of Hatchtopia to life! Pull out the pool and take your Hatchimals on a starlight dip. Or send them down the slide and time it with the lights! If they land in the pool, their wish will come true! Fly them to the twirly star nests or sit them on the spinning swings! You can even perch your Hatchimals on the cloud nests, then send them down the waterfall slide again and again! This playset comes with an adorable new exclusive Season 4 character! Your translucent Hatchimal shines bright when you place them on a light! See how they glow as they swing, twirl and slide through this magical world! 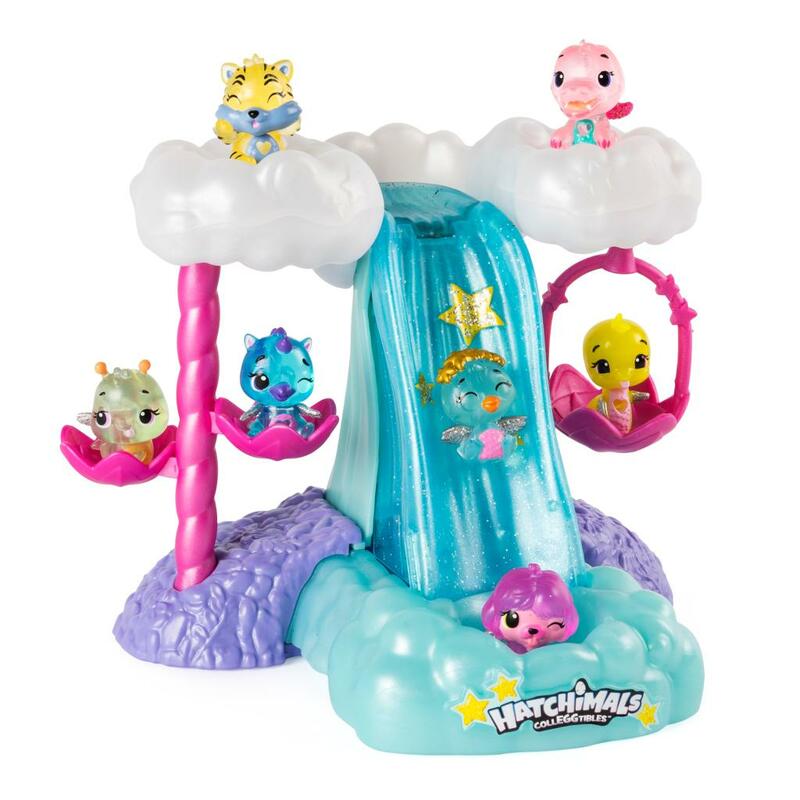 Make a wish and hatch bright with the Waterfall Playset! 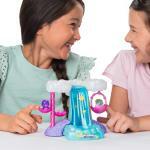 LIGHT-UP PLAYSET: Hatch bright with the Waterfall Playset! The sparkly, starry waterfall really lights up as your Hatchimals slide down! Send them down the waterfall again and again – if they land in the glowing starlight pool, their wishes come true! 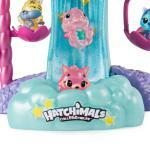 PLAY AND DISPLAY: Take your Hatchimals for a ride! Place them in the twirly star nests or in the spinning swing! 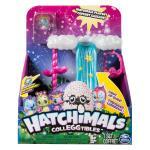 Perch them on the pearlescent cloud nests before they slide down the light-up waterfall! There are so many pretty places to display and play with your Hatchimals! 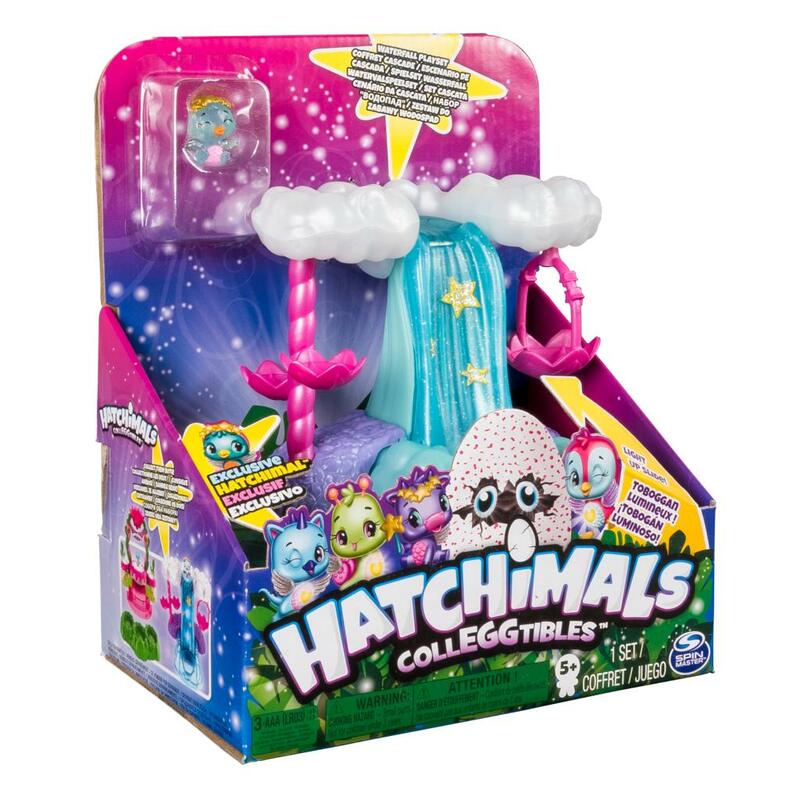 COLLECT EXCLUSIVE HATCHIMAL: This playset comes with an exclusive Season 4 Hatchimals CollEGGtible. With a translucent body, this little cutie shines bright when you place them on a light! 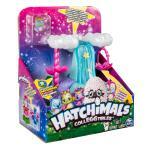 Hatchimals CollEGGtibles Wishing Star Waterfall Playset is for kids aged 5+. 3 x AA batteries required (not included). 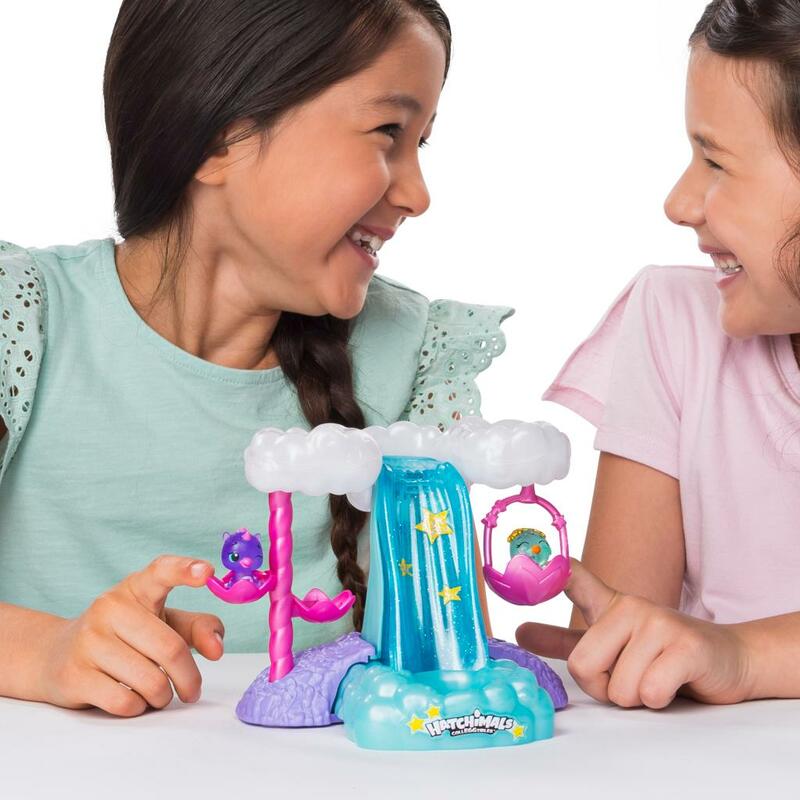 Show how your Hatchimals shine with this interactive playset!